The High Channel Count DMA IP Core for PCI Express is a powerful PCIe Endpoint with multiple industry standard AXI Interfaces. This IP addresses continuous streaming applications from up to 64 different datasources. Each channel is able to transmit data into a separate memory area. 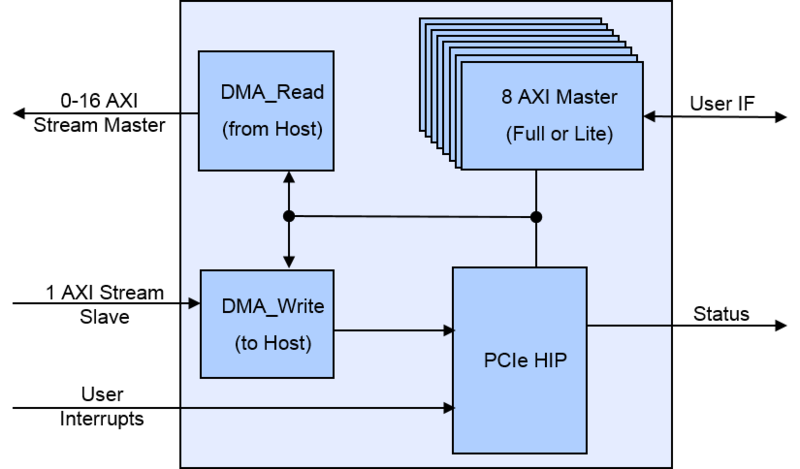 Up to 16 AXI Stream Masters read DMA Data from the Host and present it to the User Logic. Additional 8 AXI4 Masters are available to interface full AXI or AXI-Lite peripherals with the Host. This IP Core enables the developer to build complex PCI Express endpoints with no specific PCI Express Protocol Know How. 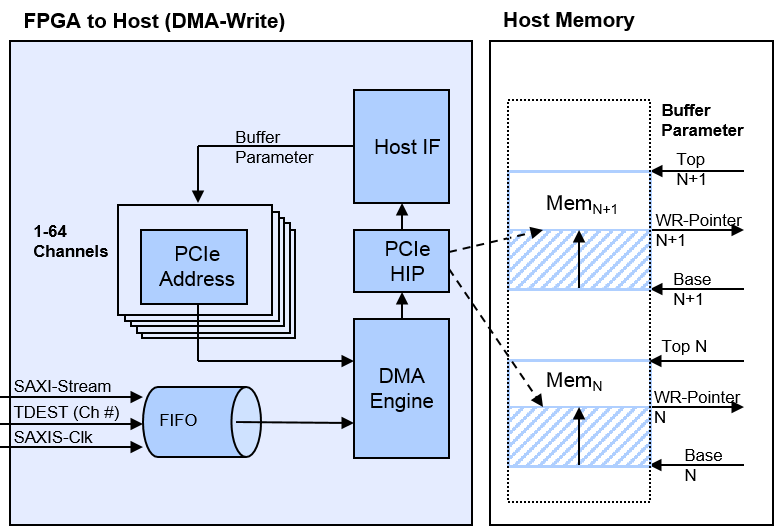 The user only transmits/receives payload data and does not have to build valid PCI Express packets. Find more details in our datasheet.